A Facebook post leads to a mystery being solved. Lindsey and Chris Chizinski expected that they would encounter predators from time to time when they decided six years ago to keep chickens in their backyard in Lincoln. 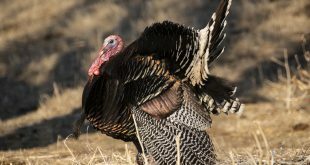 Both are biologists; Chris is an assistant professor at the University of Nebraska-Lincoln’s school of Natural Resources and Lindsey is a fisheries biologist for the Nebraska Game and Parks Commission. They are well aware of the circle of life. They were sad – but not especially surprised – when over the years they lost one chicken to a hawk and then another. A hawk was again the prime suspect when they came home from work one day this past spring to find a third chicken bloodied and a fourth missing. Chris posted a photo of the missing chicken, Dolly, on Facebook, as well as a short tribute. She was a favorite chicken in their small flock. A few hours later, he heard from a friend, Larry Bond, who knew where his chicken was. Bond, who had happened to be driving through the Chizinskis’ neighborhood that morning, had seen Dolly in the jaws of a fox. He was so surprised to see a fox nonchalantly feasting on a chicken on a residential street in broad daylight that he stopped his truck to take a photograph. When the fox didn’t immediately run off, he captured it on video, too. “When you have chicken you’re devouring, apparently there are things more important than the threat of a photographer,” Bond said. An adult male red fox (Vulpes vulpes) delivers food to pups in a cement culvert den in Lincoln's Air Park. 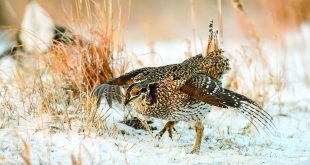 Whether or not they’re distracted by a freshly killed chicken, foxes are more common in Lincoln and other cities than one might think, said Sam Wilson, the furbearer and carnivore program manager for the Nebraska Game and Parks Commission. Foxes compete with larger canids, such as coyotes, for habitat and prey. Coyotes kill foxes when they have the chance, Wilson said. But coyotes are less likely to venture into city limits. 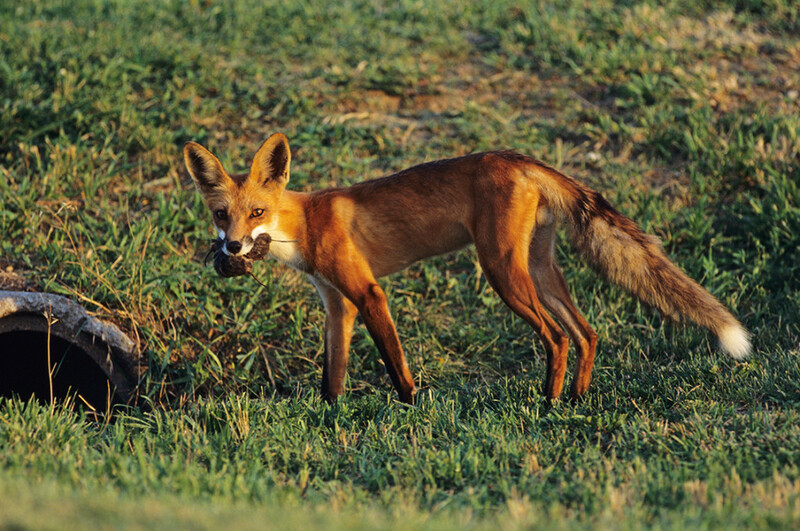 Foxes take advantage of this reluctance, and often live along streams and in grassy fields within city limits. Lincoln, in particular, is a welcoming place for foxes. Beginning in 2003, the city took a look at its park areas and how people used them. Areas that received seldom use were mowed less often during the summer, and in some cases, were seeded to shortgrass prairie or wild flowers, said Chris Myers, parks operations coordinator for the city’s Parks and Recreation department. By 2011, about 850 acres across the city had been identified as passive park areas and were allowed to grow, though that number is a little bit lower now. “We’re seeing more diverse wildlife in those areas,” Myers said. A red fox walks along a ridge top at Ponderosa Wildlife Management Area near Crawford. Myers is aware of a number of resident foxes. There’s a den near the Holmes Golf Course maintenance shed, he said, and another at Mahoney State Park. Additionally, he’ll receive the occasional report of one running through a drainage ditch. Myers enjoys hearing of fox and other wildlife sightings in Lincoln. Some colleagues even saw a few mink in a stream where they had done some water quality work. Bond has heard them yipping at night in his central Lincoln neighborhood, which is near a large cemetery. Wilson has had brushes with urban foxes, too. 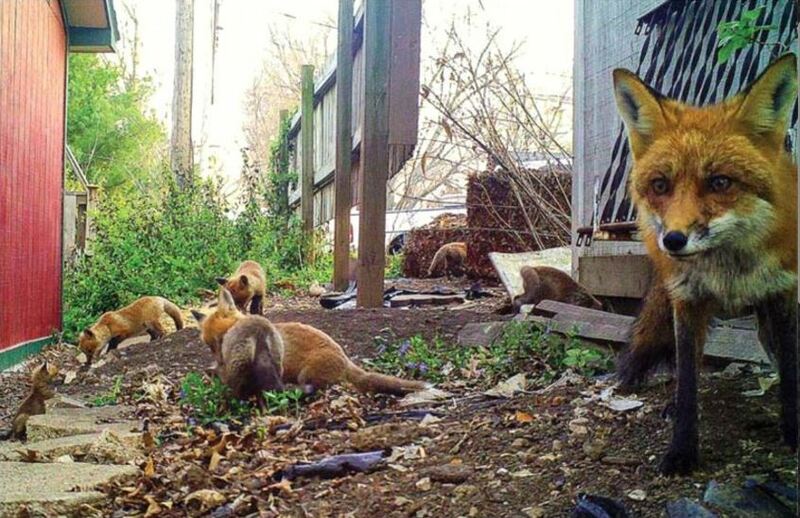 For the past three years, a pair of foxes has lived behind his house. This year, there are seven kits, which he has enjoyed watching with his wife and two young sons. “We watch them most evenings and most mornings, and it’s been a lot of fun for us,” he said. Despite the lost chicken, Chris and Lindsey Chizinski have enjoyed the foxes, too. They were incredulous that a friend of theirs would stumble upon the culprit in Dolly’s disappearance, and even more surprised to learn there was photographic and video evidence. Their 3-year-old son, Elvis, was so impressed by the story that he told his class at preschool about it. And as biologists, Chris and Lindsey are pleased to see him learning about the ecosystem in his own backyard. 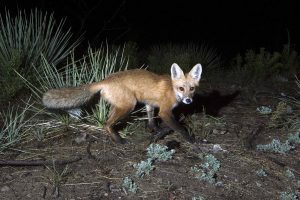 Have you seen a fox within city limits this year?